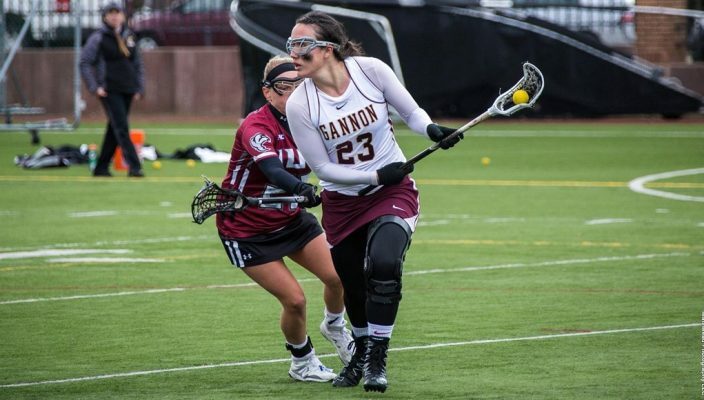 The Gannon University women’s lacrosse team will look to stop a seven-game losing streak when it travels to Slippery Rock Wednesday to take on The Rock in a 4 p.m. Pennsylvania State Athletic Conference match. A tough series of losses for the Knights began on March 31 with a 14-8 defeat at the hands of Kutztown University and the team hasn’t found the win column since then, dropping to 3-9 overall and 2-8 in PSAC play. In Gannon’s most recent outing, the team came up on the short end of a 26-15 score at Millersville on Saturday. The Knights got off to a good start, using goals from Erin Rotondo and Kat Martinelli to take a 2-0 lead five minutes into the match. Millersville responded with four straight goals to go up 4-2, but Gannon rebounded for three goals in a row – two from Leilani King and one from Rotondo – to vault back in front 5-4. But that would be the last time Gannon would lead in the game as the Marauders reeled off eight consecutive scores to take a 12-5 lead. Rotondo finished with six goals while King had five and Martinelli three. Alexa Bower also added a goal. 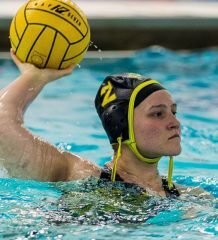 That loss was preceded by a 16-11 loss to Seton Hill in Greensburg on April 17. The Knights opened with three goals — a pair from Martinelli and one from King. After the teams traded scores, Seton Hall scored four straight times. Bower and Martinelli scored back-to-back goals to cut the lead to a 10-9, but the Knights let up four goals, and they could never get closer than four goals the rest of the way. King led the way with five goals, followed by Rotondo and Martinelli with two each while Micaela Capozzo and Bower each added one. Goalkeeper Erin Renwick recorded 13 saves. 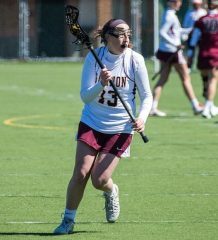 On April 14, Gannon fell, 14-7, to East Stroudsburg at McConnell Family Stadium. The teams battled fairly evenly throughout the first half, with the Warriors leading 6-4 at intermission. But East Stroudsburg came out fast in the second half, scoring seven straight goals to take a commanding 13-4 lead. Gannon finally stopped the streak with a goal from King 21 minutes into the half, but the Knights couldn’t put a dent in East Stroudsburg’s lead. Rotondo finished with two goals while Martinelli, King, Bower, Jessica Hudak and Maddie Krock each added one. On April 11, Gannon dropped a 20-7 decision to Indiana University of Pennsylvania. The Redhawks scored the game’s first six goals and eight of the first nine, and after Gannon responded with goals from Martinelli and Rotondo, IUP added five more in a row and eight of the next nine to take a comfortable lead. Rotondo finished with three goals while King had two and Bower and Martinelli netted one each. Renwick recorded nine saves. Following Wednesday’s game at Slippery Rock, the Knights return home to close out the season at noon Saturday against Bloomsburg at McConnell Family Stadium.